August 04, 2017, 2:54 p.m. The 2017 general election might have been the biggest social media election to date, but new YouGov research discovers there’s life in the press and broadcasters yet. Traditional news sources such as newspapers and television remain more influential among voters than social media, with 60% saying that they regularly get their political news from the BBC and 45% get their political news from a newspaper (with the Guardian and the Daily Mail the most popular newspapers for political news at 16% and 13% respectively). By contrast, only 15% report that they regularly get their political news from Facebook, 8% get it from Twitter and 4% from Buzzfeed. 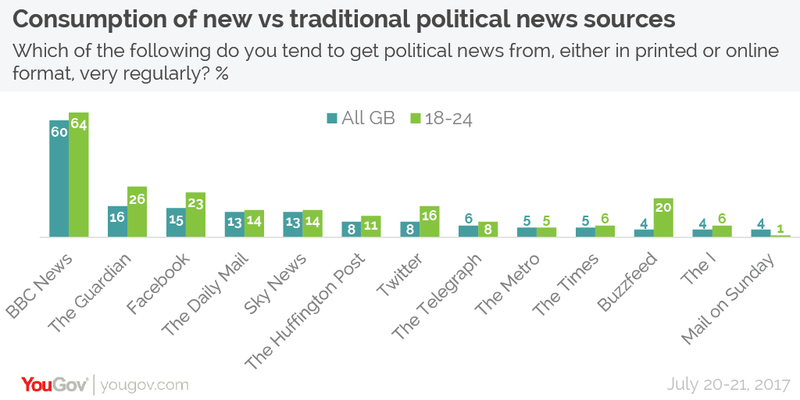 These sources all prove much more popular amongst 18-24 year olds, although even amongst this group traditional news sources remain the most popular sources of political news (for which the results were 23%, 16% and 20%, respectively). 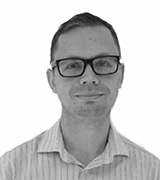 The research was conducted for the London Press Club and Society of Editors in order to understand the influence and impact of the media and social media on the recent general election. Brits were also more likely to say the likes of television (42%) and newspapers and magazines (32%) had more of an influence social media (26%) over how they chose to vote at the recent election. Again, social media proved to be more important to younger voters with half (50%) saying that social media had at least some influence in helping them to choose who to vote for. This made social media the second most important influence on younger people’s votes after television (54%). However, the results are not all positive for the traditional media. 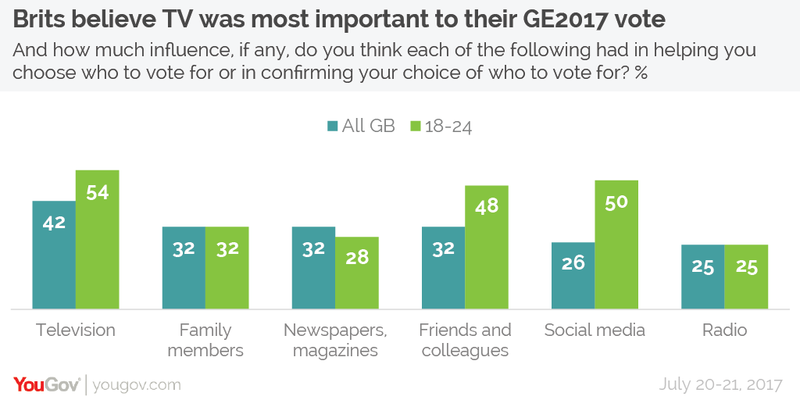 Although around half (48%) of Brits believe newspapers have “a significant impact on the outcome” of general elections, they also feel that the influence of newspapers has been diminished by the advent of the digital age (58% of all Brits and 63% of 18-24 year olds). Furthermore, the sample was torn between those who agree that the role of newspapers and their influence on general elections is “greatly overstated” (32%) and those who disagree (28%). And while Brits clearly believe that traditional newspapers had some influence in the election, they felt social media also did as well. 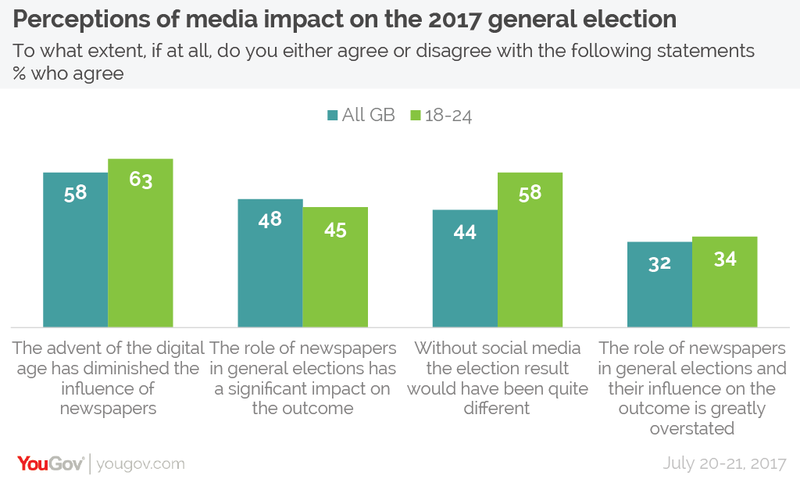 Over four in ten (44%) of the general population ad almost six in ten (58%) 18-24 year olds believe that the result of the election would have been quite different had social media not been a factor. YouGov conducted this specially commissioned polling in support of the London Press Club and Society of Editor’s debate which was held at the Reuters Building in Canary Wharf on 26th July. The research, which was conducted amongst a nationally representative sample of 1,601 adults in Great Britain between 20-21 July 2017.